Maximal thermal efficiency with minimal corrosion – that is only attainable when the flue gases reach the final superheater at the temperature sweet spot. In other words: Cooling of the flue gases in the radiation passes must run constantly and in a controlled manner (see Figure 1). This is only possible when the buildups on the walls are controlled during ongoing boiler operation. Five technologies for the cleaning of radiation passes in waste incineration plants have established themselves: shower cleaning, water cannons and wall blowers, rapping systems and the shock pulse generator (SPG). In the following, we briefly explain the working principles behind these technologies. Tap water or wastewater is injected with a flow rate up to 1 kg/s into the radiation passes through a vertical hose inserted from the boiler ceiling. Up to 30 hose supports are installed in the boiler ceiling in newer plants. At the end of the hose, quite similar to a shower head, homogenous droplets are generated , which are immediately absorbed (see Figure 2) upon appearance by the porous surfaces of the buildups on the membrane wall. The high temperatures in the buildups evaporate the water droplets, increasing their volume, breaking done the surface and removing the buildups. The water pressure and flow rate must be set properly to ensure that the shower cleaning functions properly: Should, for example, the droplets be too small, they evaporate before reaching the membrane wall. If the water pressure is too high, water flows into the ash hopper, leading to additional sintering of the ash. This could block the ash discharge system. Furthermore, water combined with the buildups creates an ideal environment for corrosion. Figure 2: Section of a membrane wall: The connected tubes form an airtight outer boiler skin. Inside the tubes, the saturated water evaporates, rising in the form of steam. Water cannons are mounted on the boiler wall, resembling remote-controlled fire hoses. A lance is controlled by two servo motors and sprays a defined water jet through a nozzle onto the opposite membranes walls . Almost any wall pattern can be programmed. Water canons are often controlled using heat transfer sensors or infrared cameras. Water consumption ranges between 0.8 and 1.7 kg/s. Water can flow into ash hopper in this system as well if the parameters are not set optimally. Based on the same principle as the well-known steam soot blowers, a steam or air jet is injected into the boiler through a movable lance . The blowers are installed to the boiler wall and blow backwards in the direction of the membrane wall. The jet pulse dislodges the buildups. 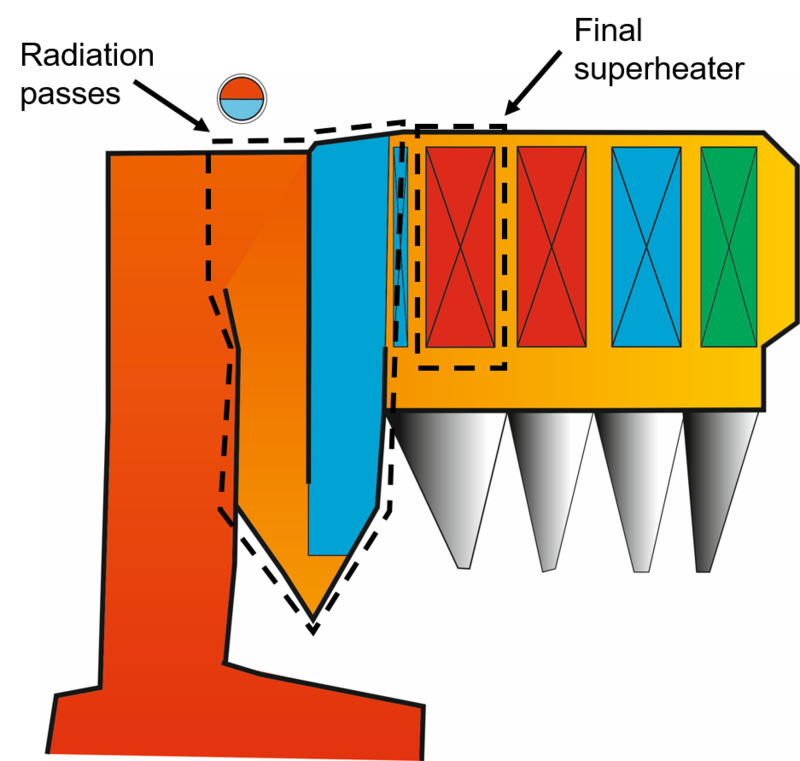 Wall blowers remain in the boiler during the cleaning cycle, and are afterwards retracted. With this technology, hammers beat the outer wall of the boiler. The buildups are dislodged by the vibrations. Pneumatic cylinders, unbalanced motors or heavy weights are used as hammers to create rotating vibrations. In contrast to shower cleaning or wall blowers, no additional media, such as water or air, is inserted into the boiler with this technique. The Shock Pulse creates strong Shock Pulses through combustion of a mixture of gases. These cause the flue gas, boiler tubes and membrane walls to vibrate so powerfully that buildups drop off. The shock-like combustions that generate the Shock Pulse take place outside the boiler in a stable, pressure-proof container. As with the rapping system, here too, no foreign media is inserted into the boiler. 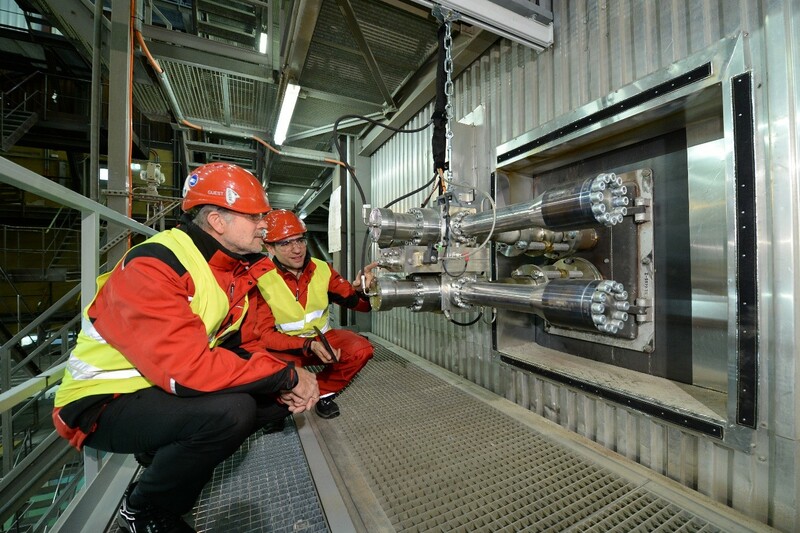 Figure 3: Shock Pulse Generator, twin series, installed in a waste incineration plant at Josefstrasse in Zurich. Why is such a system installed in your waste incineration plant? According to a survey conducted in 2010 and 2011  among 121 waste incineration plants, only 20% automatically subject the radiation passes to cleaning during ongoing operation. The reason for this is simple: There were no effective technologies available at the time they were constructed. Therefore, planners dimensioned the surfaces of the radiation passes to be so large that buildups can be accepted. Technologies such as shower cleaning, water canons and wall blowers  were only available on the market at the beginning of the 21st century. Water was long the dominant cleaning medium – until the first shock pulse generators  went into operation in 2009. The cleaning systems listed here are today the common fit-out standard today for new builds.